If you’ve spent any time listening to radio, you’ve probably noticed how deep and smooth the DJ’s voices sound on air. There are a couple of factors at work here – first, the microphone, and second, the effects. But the effects (maybe EQ and a bit of compression) certainly aren’t as significant as the quality of the microphone. The right microphone can make you sound like a pro. You shouldn’t let this stop you from getting started on your podcast or voice recording projects (I didn’t), but you should look at upgrading as your budget allows. 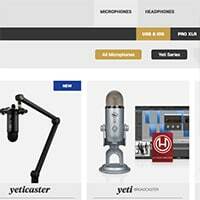 Here you’ll find some of the best microphones for speech, voice and podcasting. Read on. What Should I Look For In A Microphone For Voice & Speech? How Do I Go About Audio Sweetening In Post-Production? I’ve been podcasting since 2009, and in that time, I’ve used a few different microphones – basically whatever was available to me. But eventually I knew I wanted to upgrade to a broadcast quality dynamic microphone. It’s exactly like it sounds – a microphone that’s specifically designed for broadcast. It makes your voice sound deep and smooth. Plus, a dynamic microphone, by design, eliminates a lot of room noise and mostly only picks up the sound that’s near it. So, even if you’re recording from your bedroom, or in a noisy environment, you can still sound like a pro. I’d been using Rode products for a while before picking up the Procaster, so I knew I was putting my money into something good. If I have any complaints, it’s that: a) you must boost the gain on your audio interface to get a decent signal from this mic, sometimes to max, and b) the internal pop-filter wasn’t quite enough to eliminate the popping. I bought a foam mic cover to deal with this, and these are relatively inexpensive. Much to my surprise and delight, the Procaster can also be used for vocals and instruments if you so desire. You might have other mics that are better suited to certain situations, in which case use those instead. But it can’t hurt to experiment with the Rode. Overall, this is a great mic at a great price. 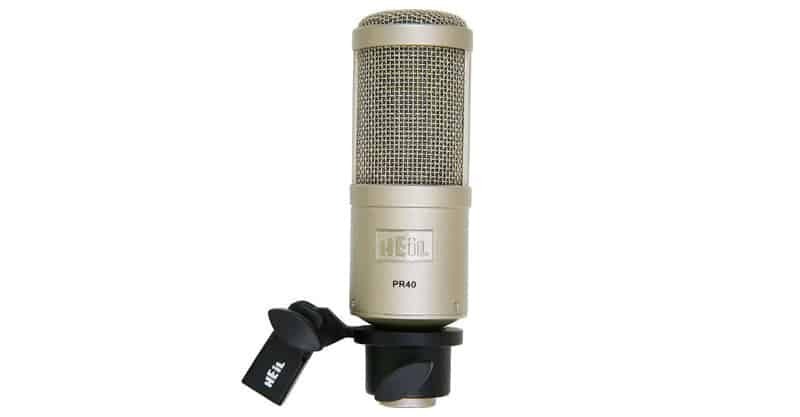 When I was first starting to look at broadcast quality microphones, I was seriously considering buying the Heil PR-40. 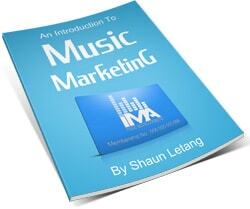 This is a popular option among known podcasters like Cliff Ravenscraft and Pat Flynn. And, as far as microphones of its kind are concerned, it sounds as good as you would expect it to. As with the Rode, this is a dynamic microphone, so it will eliminate a lot of the extraneous noise in your environment (you would notice a lot of this noise if you were using a condenser microphone, such as your computer fan – seriously). So, why did I decide against the PR-40? Well, for one thing, I was already familiar with Rode products, so I decided to stay loyal to the brand. For another, the online reviews for the Procaster were a bit better than the PR-40. Finally, there’s a bit of a jump in price point from the Procaster to the PR-40. I think you will find most other reviewers echoing these sentiments. But is the Heil a good mic? It sure is, and it’s worth a look. Shure creates a lot of great products. Virtually every studio has a SM57 or two, and most live venues worth their salt will have several SM58s at the ready. These aren’t even Shure’s most expensive or highest quality mics! But they are durable and perfect for certain situations. 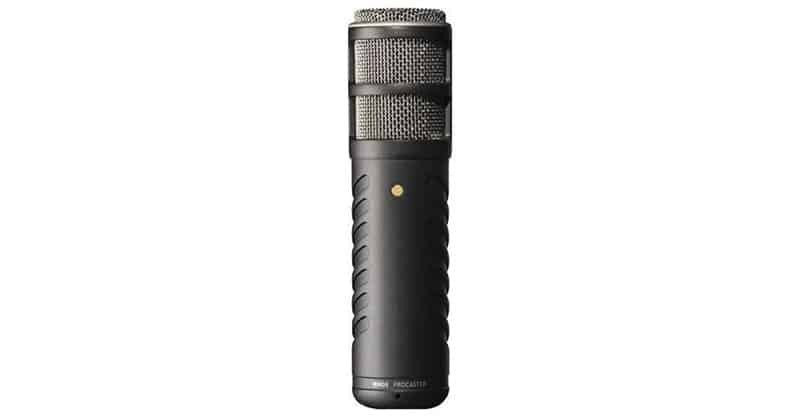 When it comes to conversations around recording voice, inevitably the Shure SM7B will come up. I’ve been in a radio station or two that swears by them. This is a great microphone, and unlike the PR-40, certainly lives up to the hype. But it’s also the most expensive microphone I’ve mentioned so far. Additionally, this microphone tends to pick up more background noise compared to those already mentioned. So, it might not be ideal for your sound recording environment unless it’s been acoustically treated. It might be worth renting and testing out a few mics before buying the SM7B, especially at its price point. Find a mic that best suits your voice. If you like the Shure, go with it. Blue has made a name for itself in the podcasting realm. Their mics are portable, convenient, durable, easy to use, and don’t require an audio interface to work. Plus, Blues tend not to cost an arm and a leg. 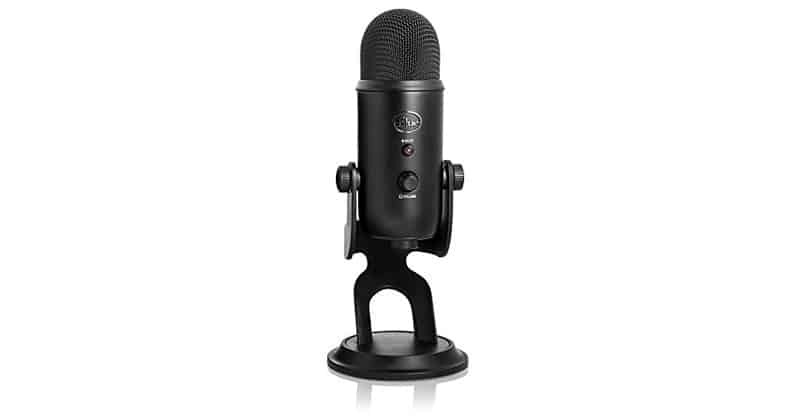 Of the options mentioned so far, the Blue Yeti is the most affordable. One thing that might take you aback is the fact that it’s a condenser microphone. Now, if it seems like I’ve been harping on condenser mics, that’s not the case. They can work quite well depending on the situation and can even provide superior audio quality with more depth. It’s just that condenser mics can be a bit harder to work with because they pick up so much detail in the sound. The Yeti is a great option, especially if you don’t have a big budget. But you won’t sound nearly as good through the Blue as you will through one of the previously mentioned mics. 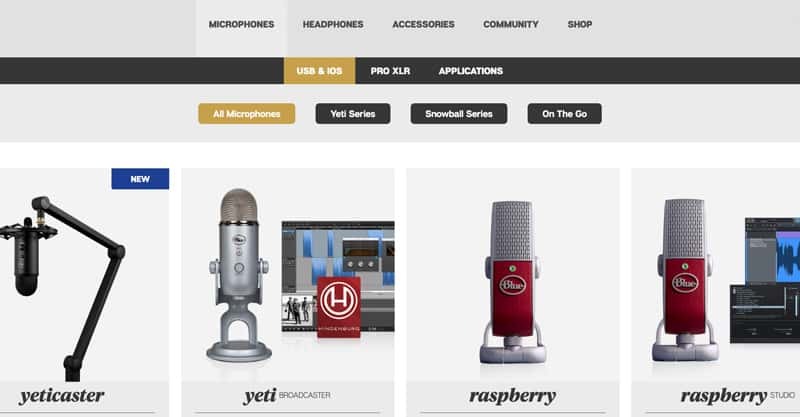 There are plenty of satisfied customers of the Yeti, so if you’re not looking for anything fancy, you will get a lot of mileage out of this mic. Here’s another great mic in the “budget” category. 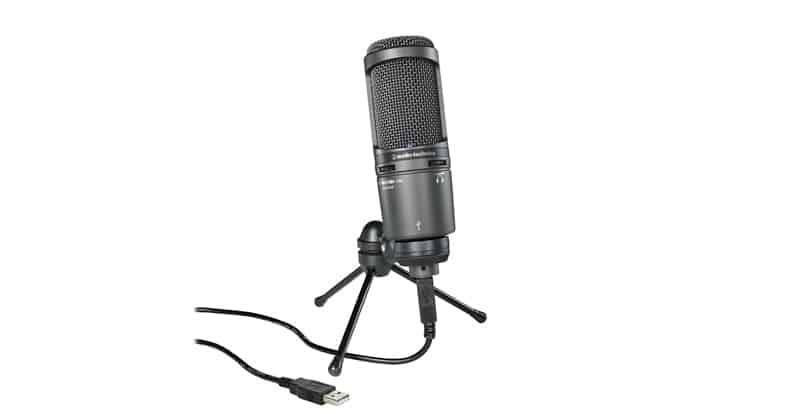 As with the Blue Yeti, the Audio-Technica AT2020 can be plugged in via USB and doesn’t necessitate an audio interface to work. This is a great mic for project and home studio environments and can be used on instruments as well. I’ve recommended the Audio-Technica to some of my friends, and they’ve been quite happy with the results. But if you’d prefer a dynamic mic over a condenser mic, I have another solid recommendation coming up. 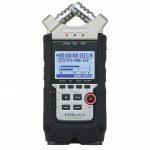 Some well-known podcasters recommend the Audio-Technica ATR2100 as a solid budget alternative to the broadcast quality mics. 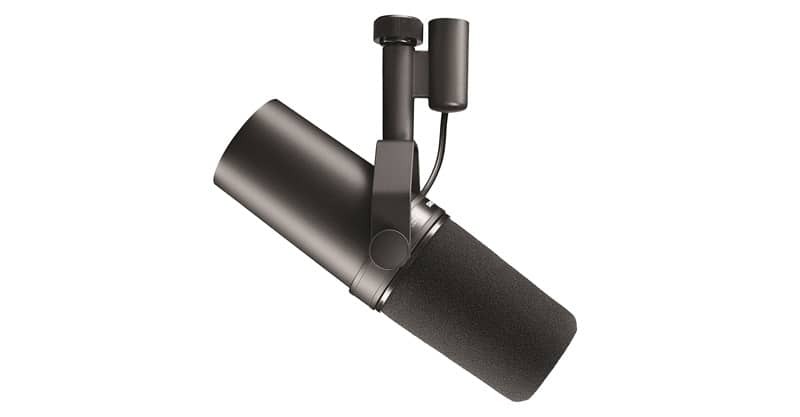 There’s no denying its affordability – it is easily the cheapest mic on this list. Another advantage is that the mic is both USB and XLR compatible, meaning you could use an audio interface with it if you prefer to (but you don’t need one). You can even plug your headphones directly into the mic for easy monitoring. This is a dynamic mic, meaning it does eliminate a lot of background noise. You can use it for voice as well as acoustic instruments. No, you won’t get the same warmth you can get with broadcast quality mics, but if your budget is small, this mic will deliver for you. Don’t forget – you can always adjust your voice in post-production (more on that later). 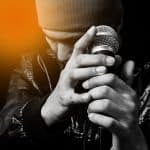 Here are a few factors that will help you figure out what to look for in a microphone for your recording needs. You can buy a mic on someone else’s recommendation, and I’m not saying you shouldn’t. At the end of the day, though, you should use what makes you sound and feel the best. If you’re going to put $400 to $500 into a mic, I would look at all your options and if possible, test them all out before deciding. The number one consideration is always what makes you sound good, because people are less likely to keep listening to your voice if the audio quality isn’t good. Sometimes people will keep listening just for the content (if it’s particularly good), but don’t count on it. If you’re still new to recording voice and you’re not sure it’s something you’re going to keep doing over the long haul, then it doesn’t make much sense to invest in an expensive mic. Spend somewhere in the $50 to $150 range, and experiment. 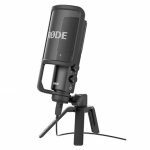 If you’re serious about podcasting or recording audiobooks or recording voice for video production, then do yourself a favor and save up for a good quality broadcast mic. It’s going to make a tremendous difference for professional use, especially with something like audiobooks where issues with the audio could get it rejected (and then you’re back to square one). If you’re thinking about having a bunch of your friends in your room join in on a conversation on a single mic, then you’re going to want to purchase a condenser mic. If you live in an apartment, condo, or even a noisy house, then you should get a good quality dynamic mic to eliminate unnecessary background noise. If you’re working in an acoustically treated space, then the Shure SM7B would likely be a good choice for you. Think about what you’re planning to do with the mic, and then buy one that’s matched to your intentions. There’s just no excuse for a microphone that easily breaks if it costs $200 and up. Its build should be solid. Not that that you’re going to be tossing around your mic a lot, especially if you’re going to mount it on a scissor-arm stand on your desk, but in case you do end up carrying it around a lot, it’s good to know that it’s not going to break on you. 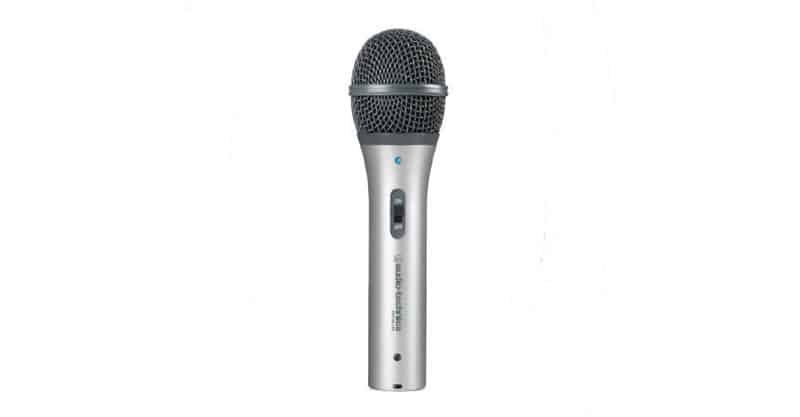 You can’t very well test out the durability of a microphone with a hammer, so the best you can do is read online reviews to ensure most people haven’t had an issue with their mic randomly breaking on them. Most engineers would probably apply, at minimum, EQ and compression to a recorded voice within a top DAW. A channel strip could also be used to apply several effects at once (EQ, compression, de-essing, noise-gating and limiting). Applying reverb might seem like a good idea to a beginner, but it doesn’t do much for your voice. If you’re recording vocals, that’s a whole other matter. But for voice and speech, it’s not going to add to the listening experience. I’m not going to get into the exact settings to apply to your voice, because that’s going to vary depending on your voice as well as what you’re trying to achieve. But there is a good catch-all solution out there, and it’s called Auphonic. It’s free to use for up to two hours of audio processing per month, and will automatically apply adaptive leveler, loudness normalization, filtering, and noise and hum reduction to your voice (depending on the options you choose). You can even have the rendered files output to multiple file types (i.e. MP3, AAC, WAV, etc.). Manually editing the audio does give you more control over the finished product, but it also tends to be more time consuming, and if you’re audio sweetening for the first time, you’ll probably end up spending a lot of time fiddling with the settings until you’re happy with it. If you’re a podcaster, and you’re planning to publish more than a few episodes, manually editing every episode is going to take up a lot of your time. Let the software do the work for you. Try Auphonic for yourself. I doubt you’ll be disappointed with the results. Don’t let the lack of gear stop you from recording your voice. If you have a MacBook, you can use the built-in mic to get started now. Why wait until you have a microphone to find out if it’s something you want to do? Start experimenting, and if you like the process, then invest in a mic. If you’re looking to record your voice for professional purposes, then definitely look at a mic that warms up your voice and can eliminate background noise. It’s a lot more affordable to invest in a good mic than it is to treat your room.